The people of the Langtang region are mostly Tibetans. They came from Kerung (Tibet) and settled in Nepal. Originally, since Nepalese citizenship was not accessible to Tibetans, they decided to change their ethnicity and become Tamang. The traditions and culture of the Tamangs are no less similar to those of the Tibetans on the other side of the border. This trekking destination is just a day long bus journey from the capital, Kathmandu. amang rituals, Tibetan culture, festivals, traditional architecture, local customs and dances make this tour a truly unique experience. The arrival at Goljung Pass, with its views of the Langtang and Kerung, is a must-do-it. Visitors will also enjoy the Syabru, Mane and other typical dances in Goljung and Gatlang. The villages also offer the possibility of acquiring the crafts specific to the region (traditional capes, gloves, etc.). You can also enjoy a swim in the hot springs of Tatopani before reaching Nagthali, where the stay takes a particular dimension. The discovery of the medieval monasteries and the houses decorated with superb engravings on wood is absolutely unforgettable. 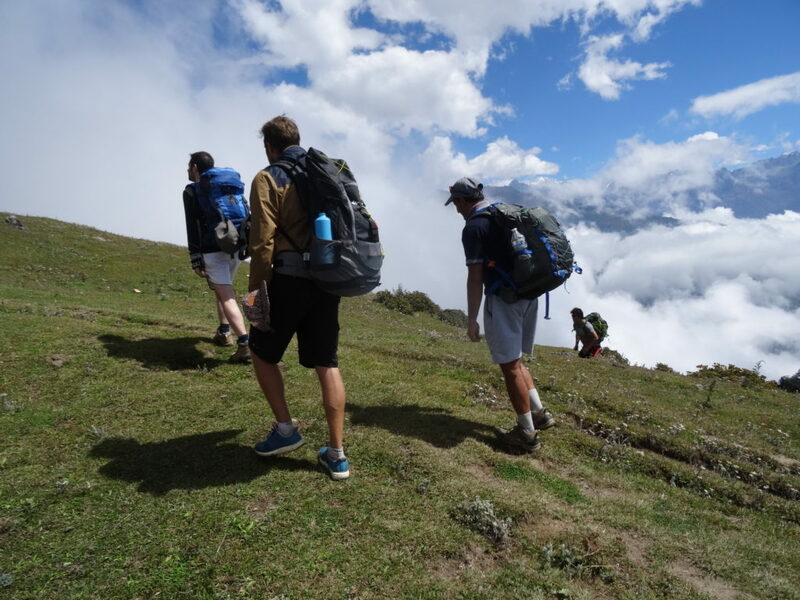 We recommend at least two pre-trek days in Kathmandu for arrival and briefings and one day after the tour. Send us a message and we will arrange a customized full tour according to your wishes. Early morning drive from Kathmandu to Syabrubesi (1982m) by bus. Night in a local lodge. Departure after an early morning breakfast. After climbing an hour and a half, a splendid view of the Ganesh Himal, the Gosaikunda mountain range and the Goljang valley. Descent to the latter for lunch. Gatlang, pretty village tamang, is 3 hours from Goljang. 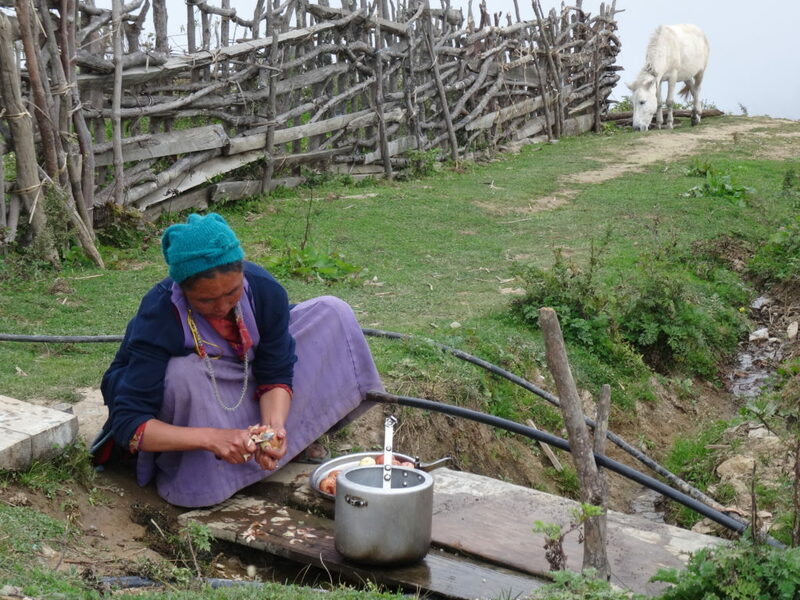 Upon arrival, the trekkers will be greeted with a khada (white scarf) and a glass of rakshi, a local drink. Night in lodge. This will be the longest day of the circuit with 7 hours on the program. 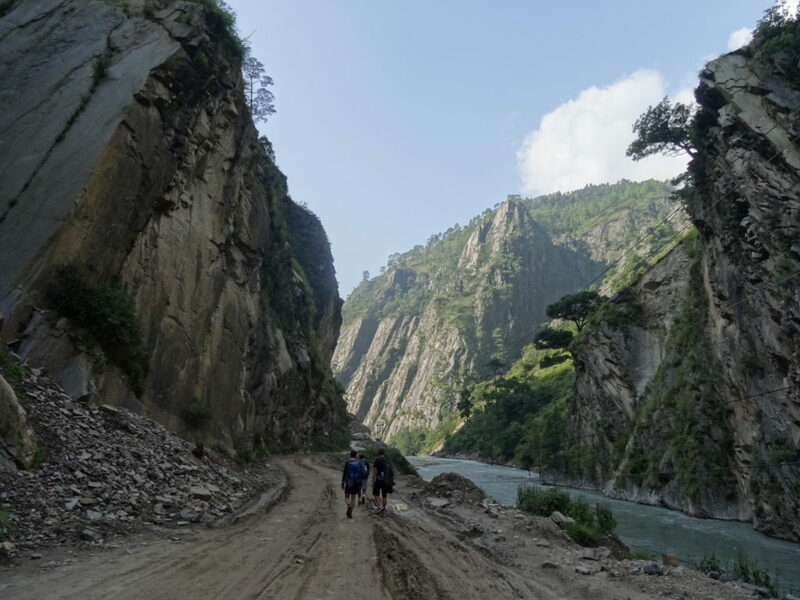 The walk begins with a descent to Thangbuchet, near the Bhotekoshi River, where we have lunch. The Chilime hydroelectric dam is located in the vicinity. After midday, the circuit only goes up, notably via a suspension bridge. 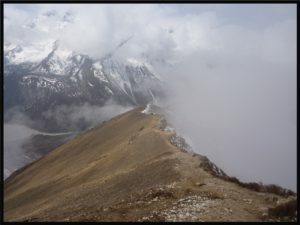 The road rises to Tatopani, which literally means "hot water". You can relax in the warm natural springs. The locals say that these waters have medicinal properties, especially for rheumatism. Night in lodge. After a first climb, lunch break at the village of Brimdang. 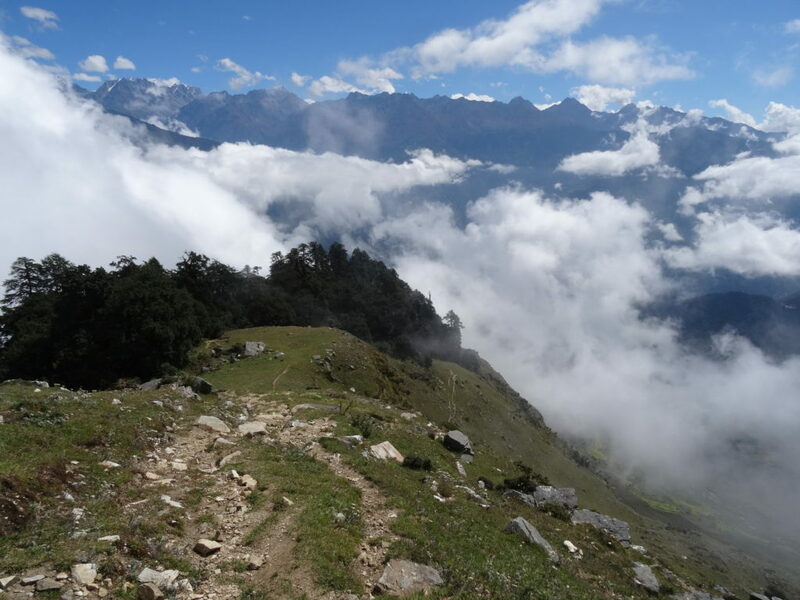 The trek then continues towards Nagthali Danda and its 3300m. An ideal time to enjoy the view while sipping a tea. 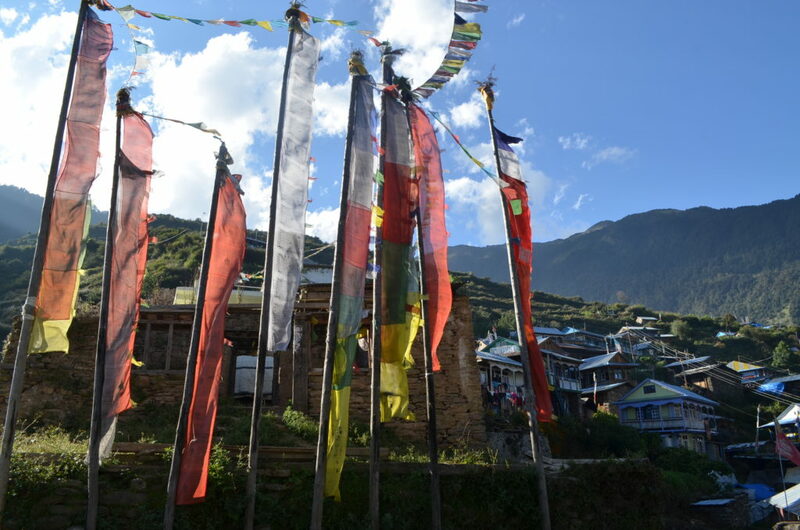 The circuit then descends to Thuman, a Tamang village of Tibetan influence where locals love to sing and dance in the evening. Night in lodge. The day begins with a long flat part before descending to Timure, a step of the old trade route to the Tibet. Lunch break in the locality. From here, the Tibetan border is only 3 hours walk. The road continues towards Briddim, another Tamang village of Tibetan influence. Travelers, in addition to sharing their meals (in the form of Tibetan specialties) with local families, will be able to attend a traditional dance and song show in the evening. Possibility to purchase Tamang/Tibetan handicrafts on site. The trek returns to Syabrubesi, a 3-hour walk from Briddim. Free time after lunch. Night in lodge at Syabrubesi. Early morning breakfast and drive back to Kathmandu (8-9 hrs). Please note: the stated price includes the trek only. Additional overnights, tour extensions and airport transfers can be booked with us.